This time of year is usually a time of reflection, so that’s exactly what we at the Science Council are doing. There have been many great moments and achievements throughout the year, but we couldn’t fit them all in the one blog! 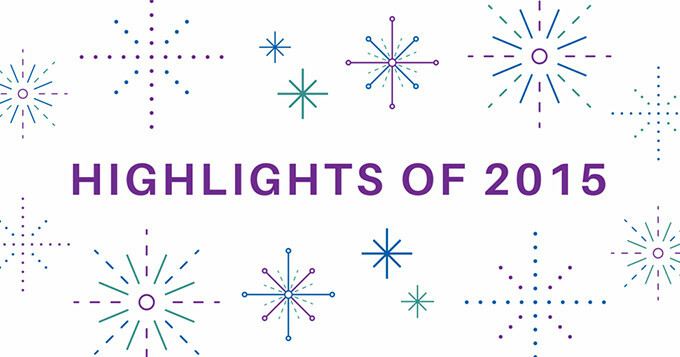 So here are 10 of our most notable highlights, in no particular order. September saw the end of our paper application forms for registration as the online application process went live. Individuals can now apply for the RSciTech or RSci registers and membership of a licensed professional body at the same time. The applications come directly to the Science Council regardless of which licensed professional body the applicant selects, although Professional Bodies also have their own, separate processes for handling applications from individuals who are already part of their membership. Have you seen our online application system yet? Why not take a look. This year we trained more assessors than ever before. We held six assessor training sessions across the country and trained 66 new assessors. Our assessors kindly volunteer their time to assess applications for professional registration which comes through the Science Council and will mean that we can get a higher number of applications assessed at any one time. Get in touch with us if you would like to find out more about becoming an assessor. 2015 was the year that employers became officially recognised as Employer Champions, and we’re pleased to say that we now have 10 Employer Champions. One of the key moments which stood out was hearing Emily Bullock RSciTech explain why she got registered at Exova’s launch event. A member of the Royal Society of Chemistry, Emily explained how her RSciTech registration has broadened her horizons and has helped her set her sights higher. She said she was very proud when she achieved RSciTech status and has been encouraged to work towards RSci – which goes hand in hand with progression within Exova. See which other employers have become champions this year. We were delighted to announce early in the final quarter of the year that Anglian Water had become the first employer to achieve the dual status of CPD Approved Employer and Employer Champion. The dual status is a reflection of the great job they are doing in developing the professionalism of their staff and their commitment to continuing professional development (CPD). The Higher Education Technicians’ Summit 2015 was the first event of its kind to celebrate the talents and achievements of technicians working in higher education. The Science Council partnered with the six leading Midlands universities to bring together over 400 technicians – the ‘unsung heroes’ of higher education – which resulted in a successful event with some notable keynote speakers. Read our news article to find out how the day went. In September the Registration Authority (RA) hosted a dinner for our licensed bodies and friends. Some of our Employer Champions and registrants were also in attendance. The dinner provided the perfect opportunity to thank Bob Chaplow, who was stepping down as Chair of the RA after six years, and to welcome Colin Grant as the incoming Chair. We also heard some inspiring presentations from employers about the reasons why they value professional registration. We said goodbye to our CEO, Diana Garnham, and thanked her for all the work she has done over her 10 years at the Science Council, and welcomed a new CEO, Belinda Phipps. We launched a new CPD Award this year to celebrate the efforts and achievements of Registrants from all four of our registers and from across our 29 Licensed Bodies. Find out who the award winners were and keep an eye out for communications about the CPD Awards in 2016! Kelly Vere has spear-headed our Placements Project in partnership with Pfizer, the Science and Technology Facilities Council (STFC) and the University of Nottingham. The project aims to improve student employability endorsing year-long industry placements against the national professional standards of Registered Scientist (RSci). Our biennial Roberts Lecture returned this year and we were delighted to have Professor Anne Glover deliver a lecture on scientific evidence in policy making. A summary of the content of the lecture is available to read as well as an audio recording which you can listen to and download. Thank you to everyone who has helped us make 2015 a great year. We look forward to working with you in 2016!